WazHack: Is myself come back! 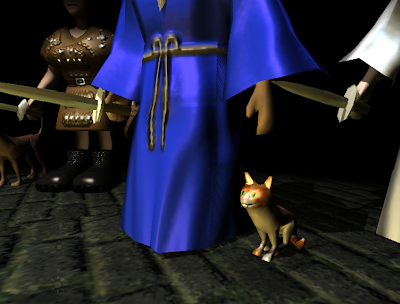 In the upcoming WazHack I added pets, and so I got to reincarnate the cat I had while at Uni. I'll be adding more types soon. Cats and dogs are different. Cats are faster, more agile, but not quite as deadly nor as tough. Worst though... dogs can't climb ladders... at least not while you are watching.